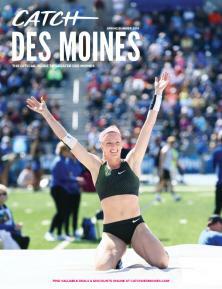 Greater Des Moines is a city where you can have sports success! Our Sports Planner Toolkit gives you an overview of our offerings, capabilities and what makes Greater Des Moines the perfect destination for your next sporting event or meeting. 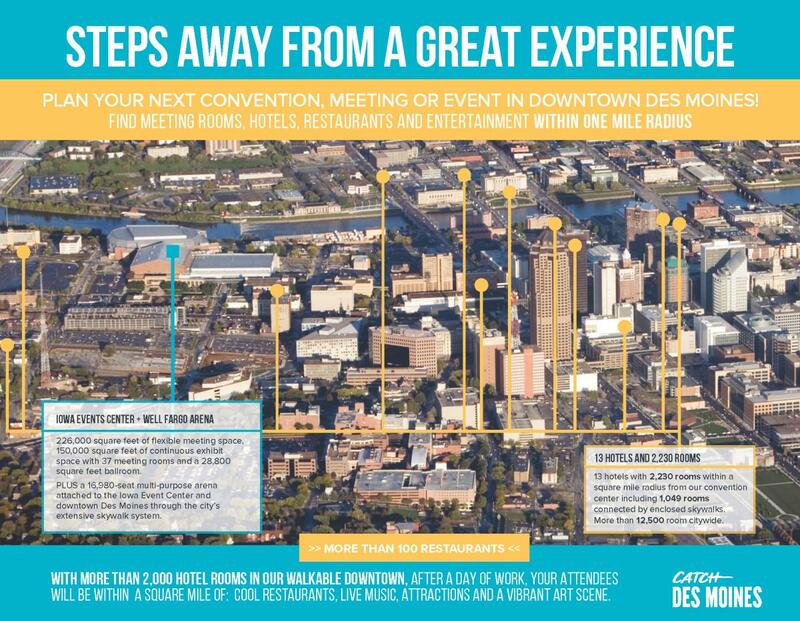 Whether you are considering Greater Des Moines for an event or have already booked your event here, this toolkit will provide you the resources and information you may need. Of course, our team is always here to customize, strategize, and answer your questions too. Consider this just the starting point to planning your perfect event in Greater Des Moines. Our knowledgeable sports team has decades of industry experience and can help you every step of the way. Greater Des Moines offers an abundance of volunteer and team building opportunities, as well as unique off-site venues and activities. Pair our facilities and first class hospitality with our award-winning restaurants and family-friendly attractions and you will catch the best sporting event you’ve ever had in Greater Des Moines. Ask us about on-site tools including ice chests, coolers, etc. Ask your service representative about additional ways that our marketing team can support your event. We can help you identify the promotional support and services that will work best for your group. Think everything from traditional and digital advertising to signage, giveaways or media support. We’re here to help you spread the word! Greater Des Moines is easy to get to and easy to get around. Our central location, located at the intersection of Interstate 80 and Interstate 35, makes it only a day’s drive for one-fourth of the U.S. population. 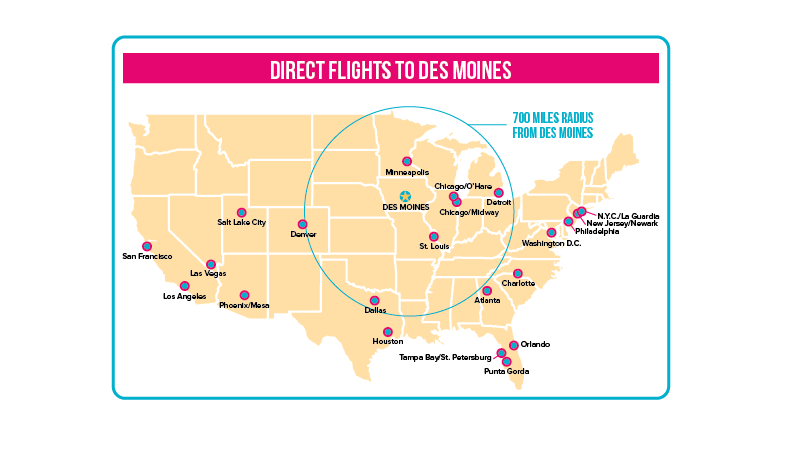 The Des Moines International Airport has direct flights from 22 destinations and 120 domestic flights each day. Once you are here, enjoy the ease of getting where you need to be in twenty minutes or less. Browse our long list of transportation resources. Hop in a Des Moines cab, Uber, or take the DART. Downtown Des Moines is walkable and easy. You can utilize our 4 mile, climate-controlled, downtown Des Moines skywalk system to get to hotels, meeting facilities, and restaurants. Or you can hit the streets and enjoy dozens of public art pieces, public pianos, and pockets of green space along the way. In Greater Des Moines you are always a quick ride or a few steps away from where you want to be. Catch a city that’s accessible and convenient. Experience the ease of Greater Des Moines. We work hard to ensure every event is a success and that attendees enjoy their time in Greater Des Moines, but don’t just take our word for it! Check out this list of Greater Des Moines testimonials below to see what meeting planners from across the globe have to say about our city and working with our team. "The Greater Des Moines United States Bowling Congress (USBC) Bowling Association has had a very positive experience working with Laura Briggs and Ryan Vogt over the last 3 plus years. In 2016, we hosted the Iowa State Open Championship Tournament and the following year hosted the Iowa State USBC Women’s Tournament. The Des Moines Area Sports Commission has helped us with finding hotels for our member’s meetings and dinners. Also, given us ideas for promotional items and vendors to contact. They created a charm for the women’s tournament. They made sure we had sufficient quantities of flyers and coupons for restaurants, shopping centers and events around our city for the tournament participants. We were given welcome banners for both of the bowling centers along with posters for the Iowa Hall of Pride. They surpassed our expectation on support and assistance with everything we needed. All their hard work was greatly appreciated to help bring 8,000 bowlers to Des Moines over the last 2 years." "In both 2016 and 2017 Faith Baptist Bible College had the privilege of working with the Des Moines Area Sports Commission to host the NCCAA II Men&apos;s and Women&apos;s National Basketball Tournaments. Ryan, Laura, and all of the staff members at the Catch Des Moines helped to provide a first class event for all of the tournament participants. From pre-planning through the end of our event, Catch Des Moines helped us facilitate two very successful tournaments for our friends at the NCCAA. No need or detail was too great or small and the attention to detail that the Catch Des Moines staff provided helped ensure a positive experience for each of our visitors. We thoroughly enjoyed the opportunity to work with the Sports Commission on this event and look forward to more opportunities to collaborate with them in the future!" Catch Des Moines’ housing bureau works as a connector between the planner and hotels allowing the planner to focus on executing the event while we handle all of your housing elements. We can create a custom booking site using Meetingmax allowing attendees to make their reservations in one central location 24/7 or create a custom hotel listing to place on your event website. Our staff can assist with gathering hotel contracts, support for guests making reservations, gathering pick-up and complete invoicing as necessary. Contact Jayne Durnin, Housing & Event Coordinator, at Jayne@catchdesmoines.com or (515) 699-3446 for more information about housing support.